Choosing a garage to carry out work on your vehicle isn’t a decision you take lightly. Your vehicle is an important part of your daily life and therefore it is very important that you feel confident and that your vehicle is in good hands. If your garage can’t answer these six important questions look elsewhere. Can you explain my repair options?Generally vehicle problems have more than one solution. Some garages may well only offer the most expensive solution by not fully explaining your other choices. Don’t be afraid to ask are other options available, make sure your garage explains each one thoroughly. Don’t feel embarrassed to ask lots of questions. It is the job of the garage to help you fully understand what the problem is and the best way to repair your vehicle. This is the only way that you can then make the most informed decision. What accreditations do you have?Reputable garages such as A1 Clutches will have certification from the likes of LUK, Borg & Beck and Delph, they will also be approved as a specialist approved repairer of things such as DSG gearboxes. 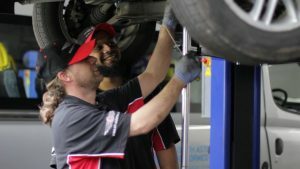 The technicians employed by the garage should have all the relevant qualifications to work on your vehicle. Don’t be afraid to ask to see these before you hand your vehicle over. Can you recommend a maintenance plan?Reputable garages not only want to give your car back in perfect condition, they want to help you keep your car in perfect condition. Ask your garage for a maintenance plan and compare it with the manufacturer’s recommendation in your owner’s manual. Always stick to the manufacturer’s recommendations and say goodbye to a garage who are trying to sell you services that are not required. Can I see my old parts?If you are having new parts fitted to your vehicle ask your garage to put the old parts in a box in the boot, this is good for you as you will see the before and after situation, if the parts are bulky, heavy, leaky, messy or full of oil ask the garage to keep them to one side for inspection by you prior to disposal. This helps ensure that the part was replaced by the garage. If your garage refuses to do this, think carefully before leaving your vehicle with them. What warranties do you offer?Reputable garages such as A1 Clutches give warranties on the products and services they provide, warranties do vary from garage to garage. Before leaving your vehicle for any work ask the garage about the warranty your vehicle will have. Garages that are confident in their mechanics and the services they provide will always provide you with a guarantee on the work undertaken. Can you provide a courtesy car?Being without your vehicle however long it is in the garage can be very inconvenient. Some garages such as A1 Clutches will provide you with a courtesy car whilst your own vehicle is being repaired to enable you to go about your day to day tasks. Check reviewsGet feedback from customers who have used the garage you are considering, checkout website and social media reviews to see what other customers have had to say about the garage you are considering to use. Any garage that answers all of these questions to your satisfaction is a garage you can trust with your vehicle. This entry was posted in Blog on September 5, 2016 by admin.